Krista Lenz~ ♥. [c] to the owner. HD Wallpaper and background images in the Shingeki no Kyojin (Attack on titan) club tagged: attack on titan shingeki no kyojin anime crista. 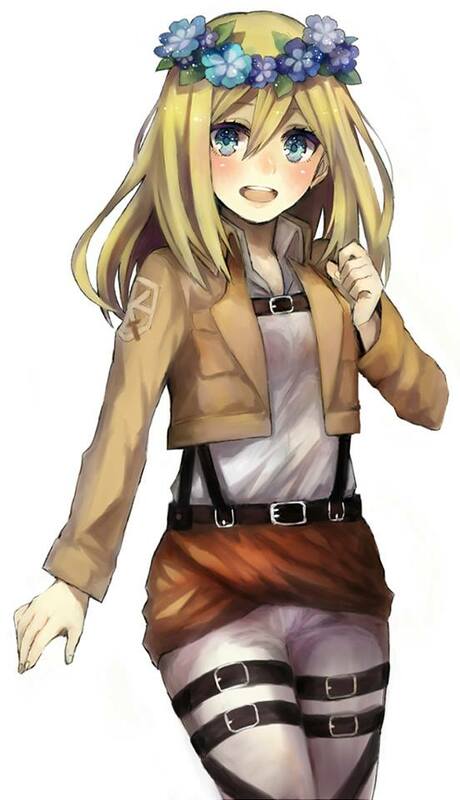 This Shingeki no Kyojin (Attack on titan) fan art contains hip boot and thigh boot. There might also be hosiery, hose, bare miguu, pantyhose, skintight suruali, skintight, akamzalia miguu pantyhose, suruali skintight, legging, leging, mguu kufunika, and kifuniko ya mguu.